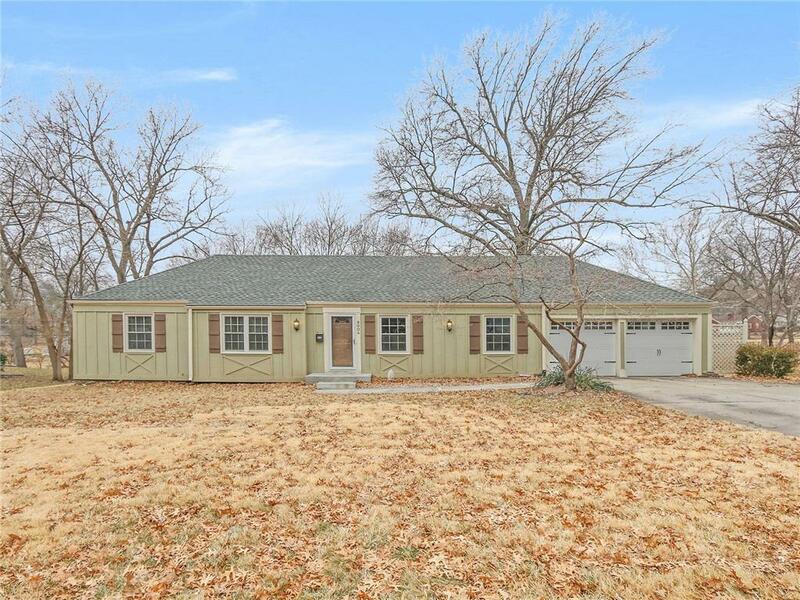 Great size, location & value for this darling & open Leawood ranch...beaut hrdwds...hearth room kit, 2 FP's, granite counters & SS appl's. Great-close in neighborhood...walk to Corinth shopping, Corinth or SM East at very affordable price. Lot goes well beyond the fence & is not in flood plan, has over 2,500 sq ft & can be improved, updated, buffed & polished or torn down for this price. The foundation was recently repaired & restrained by John Norris Foundation ($20,000+) Seller has transferrable warranty & docs. Directions: Just South of Somerset between Mission and Stateline. Sign in yard.